I got to be on the Vegetable Gardening Show and have the mic turned on me. I was very nervous and it was dark in Montana on an early Saturday morning and I wish there was a slide show playing instead but I still think I added some value. 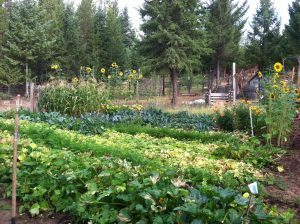 In this episode of the Vegetable Gardening show, Mike chats with Jackie Marie Beyer, host of the Organic Gardener Podcast. Jackie has interviewed over 200 organic gardening experts from around the world to get their best organic gardening tips, tricks and techniques. She takes on a unique perspective when it comes to organic gardening and being an organic gardening podcast host and that is, Jackie is still new when it comes to being an organic gardener. Her husband Mike, has been gardening for over 40 years, but for Jackie, she still considers herself to be a newbie to the organic gardening trade, and so it is with this she dives into interviewing organic gardening experts on her show so she can learn how to be a better organic gardener herself. 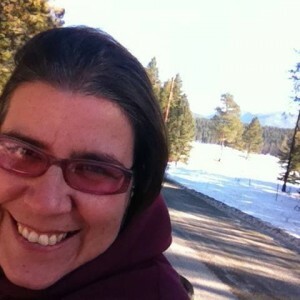 Jackie will share with us how she got started in organic gardening, how she started her podcast on organic gardener, as well as many of the organic gardening tips she has learned from the expert organic gardening guests she has had on her show. From there, Jackie will tell us why soil is the key to any organic garden, how composting plays a role in building quality soil, and what she has learned are the 2 biggest challenges of starting and maintaining an organic vegetable garden. This, and so much more, on this episode of The Vegetable Gardening Show! Mike Podlesny is the host of the award winning gardening program, The Vegetable Gardening Show where he interviews gardening industry experts to bring you the best gardening tips possible. Don`t forget to link up with Mike on Twitter, Instagram, Pinterest and Facebook. Gardening shows are so much fun, even if you are nervous at first. I think it was the only sort of nervousness that I really found to be exciting. I really should get my show back on. It was just radio, and a bit too technical for a modern crowd, but I enjoyed it anyway. I would like to, but am still working four days a week at my ‘temporary’ job (that I can’t seem to get away from), and writing my gardening column in the rest of the time. I eventually need to get back to the farm, which will leave me less time for writing AND I still want to restore my gardening show! There just is not enough time! What I would like to do is make podcasts from the gardening show, just like I made this blog from my gardening column.